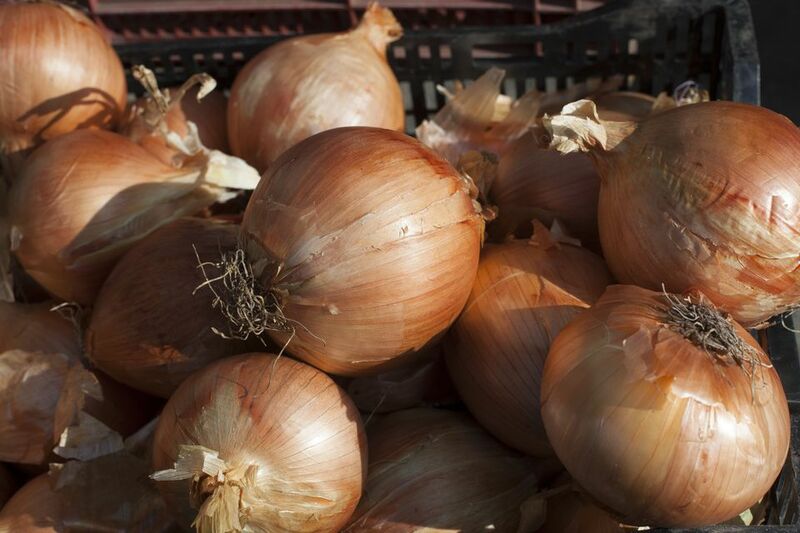 Sweet onions—including Maui Sweets, Vidalia Sweets, Texas Sweet, and Walla Walla Sweets—lack the sulfuric punch of regular onions. Long story short: they won't make you cry when you cut them! Sweet onions don't necessarily have more sugar in them than other onions (although some do). The reasons sweet onions taste so sweet is they have less sulfur and thus less pungency than other onions, which makes you able to taste all the sugar naturally in onions (the sugar that gets coaxed out as you cook them slowly into caramelized onions, for example). Since sweet onions aren't as pungent as other onions, they are not best used in place of regular onions as aromatics in recipes. If you do so, the results will lack that underlying oomph of flavor onions usually provide. This may be fine in some dishes, but it can also lead to some flat, bland results. Just cooking them like other onions is a waste of the uniquely bright flavor sweet onions bring to the party. The mild flavor of sweet onions makes them perfect for using raw in salads and relishes or chopped as a garnish. Want to cook them? Sweet onions are lovely when turned into onion rings or when simply roasted. Sweet onions in good shape will keep for a week or two at room temperature. For longer storage keep them in an open paper bag in a cool, dark place. You can put them in the crisper drawer of a fridge in a paper bag or on layers of newspaper. Never keep them wrapped in plastic since their juicy nature makes them susceptible to rot and mold. Sweet onions have thinner skins than other onions, are juicier than other onions, and don't keep in storage as long as other onions. For these reasons, look for sweet onions that feel heavy for their size and without any bruises or blemishes so they keep as well as possible.